Happy Monday! 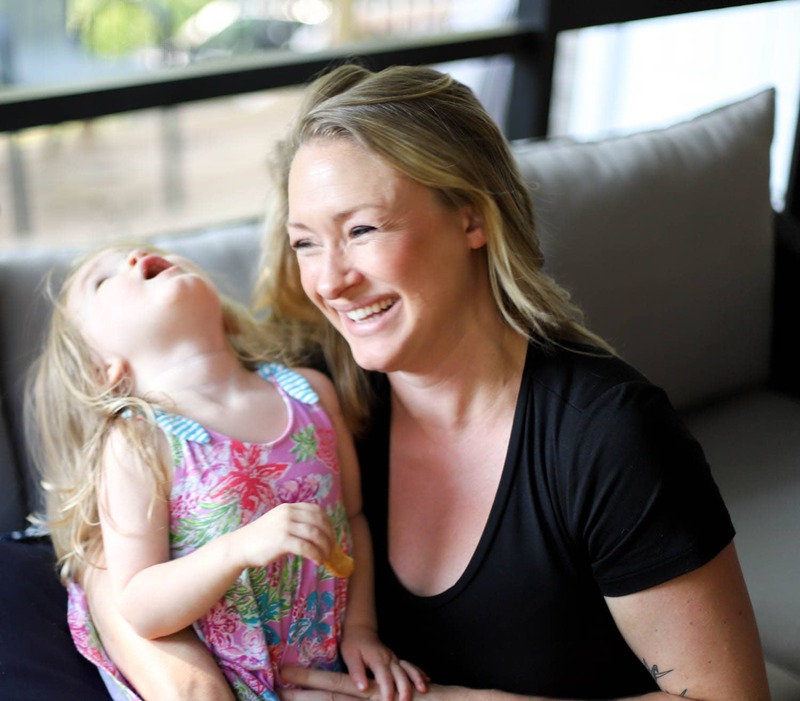 Things are moderately insane over here, but we had a super duper epically awesome weekend. We were in town! We got a new bed delivered! We did tons of yoga! Epically awesome in the most laid back way, which is my favorite kind of weekend. So, this week we’re going to do something super fun and new. I’ve made us a meal. It’s actually 3 new recipes that I served all together, so this week we’ll learn a new veg, starch, then meat, and by Friday we’ll have a whole dang meal! FUN. Fun? FUN! At least, to me. Today, up first, we’ve got our veggie. 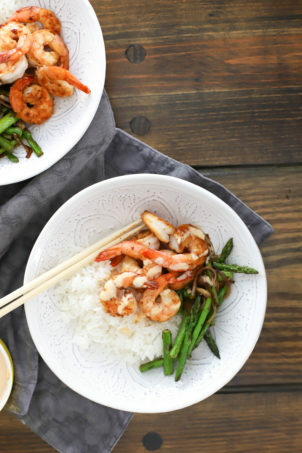 Lemon sesame charred asparagus, and WHOA is this good. Easy, too! I love asparagus, but usually keep it all kinds of plain since it’s so good that way, but I really like the addition of the toasted sesame seeds here. You will too! Pinky swear. For this dish, you need asparagus, toasted sesame seeds (or regular if yours aren’t toasted, whatevs), a lemon, salt, and olive oil. That’s it! 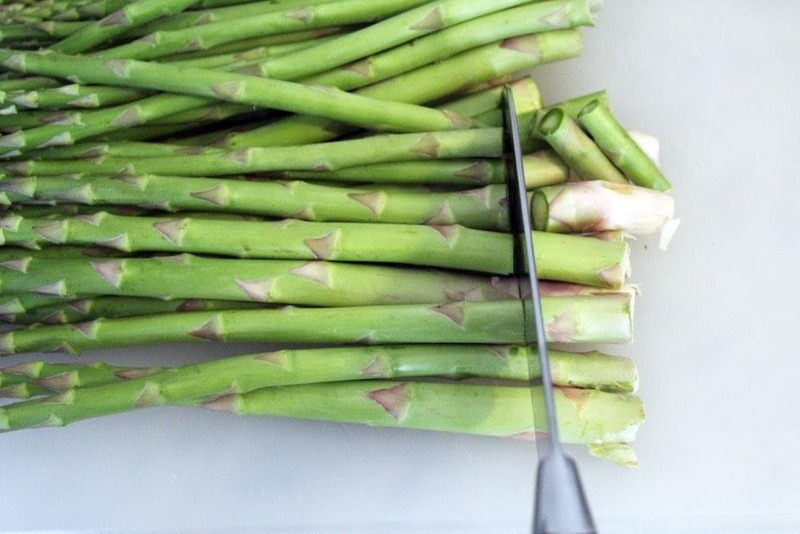 Choose medium-sized asparagus – not crazy thick, or the weird teensy stalks. Bobby flay says pencil-sized ish, so go for that. The asparagus will cook evenly and be tender but not stringy that way. 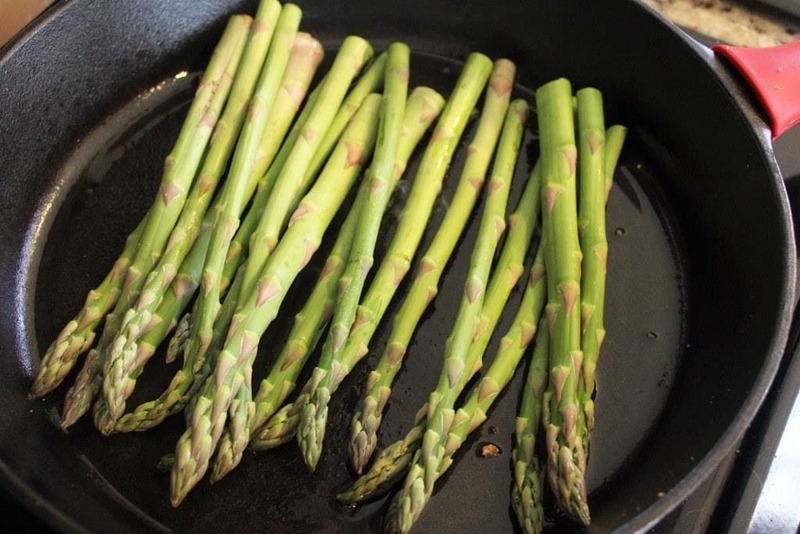 First, preheat a pan to medium-high for at least ten minutes and trim the asparagus. I cook the spears whole because I think they’re pretty that way, but you can totes cut the asparagus into bits if you’d like. 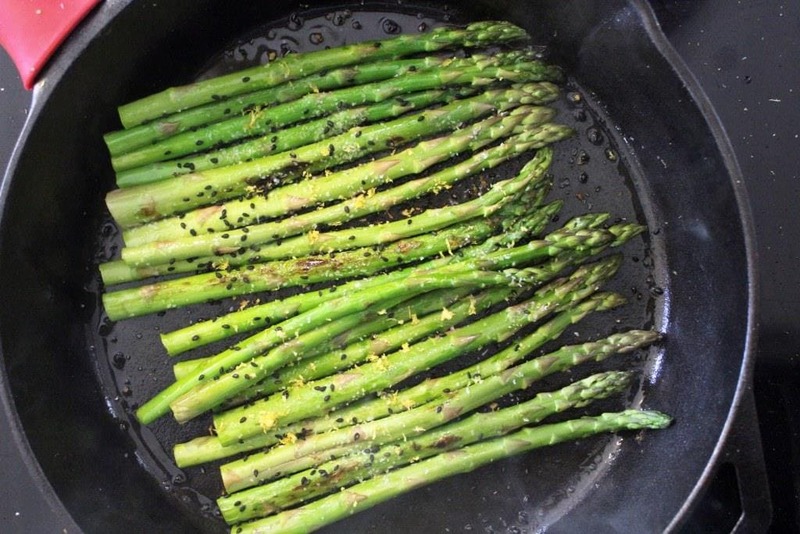 When the pan is hot, drizzle the olive oil in it and add the asparagus in a single layer. The asparagus should sizzle! 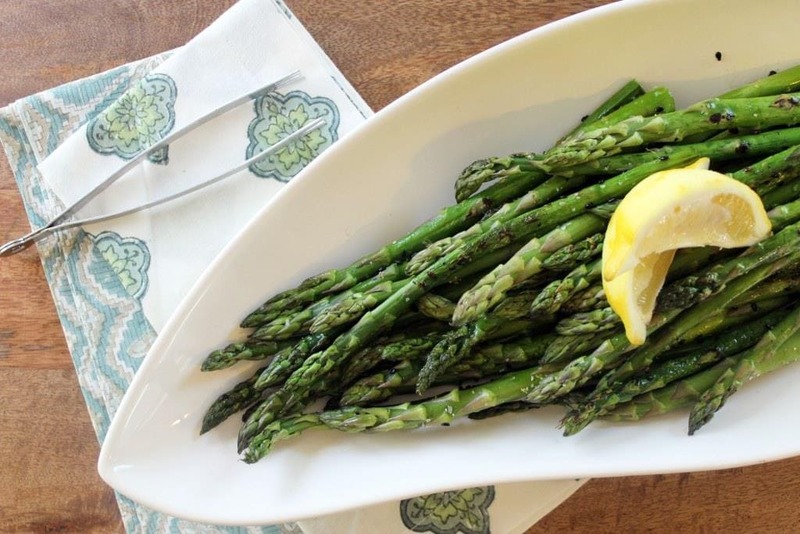 Let the asparagus sizzle for 3-4 minutes without moving it until it starts to become bright green. 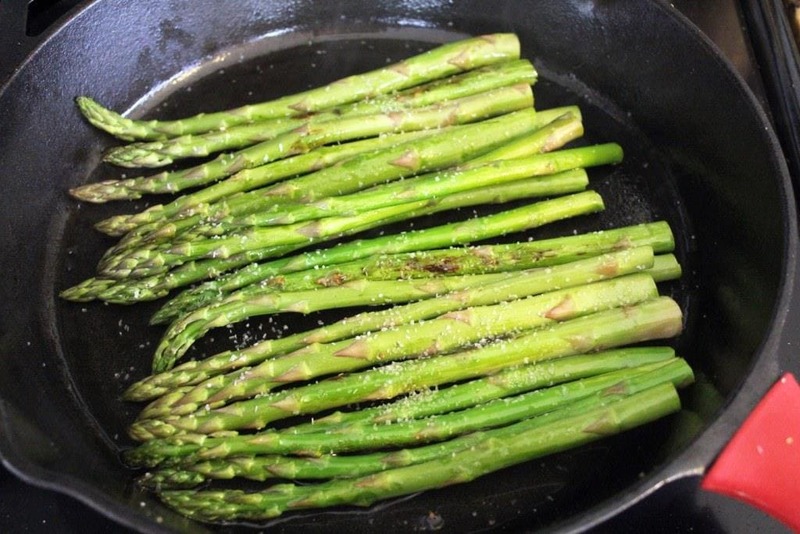 Then, toss the asparagus around with tongs and sprinkle the salt over top. There should be some dark spots where the first side cooked. After 2 more minutes, or when the asparagus is slightly softened but not mushy, sprinkle the lemon zest and sesame seeds all over the asparagus. Toss one more time, then we’re done! 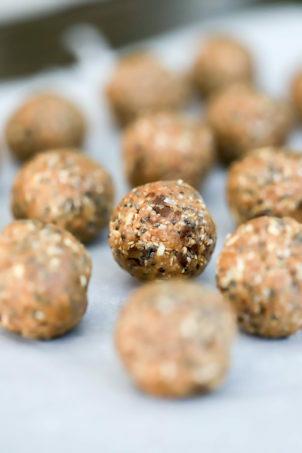 So easy and FRESH. I love food like this. 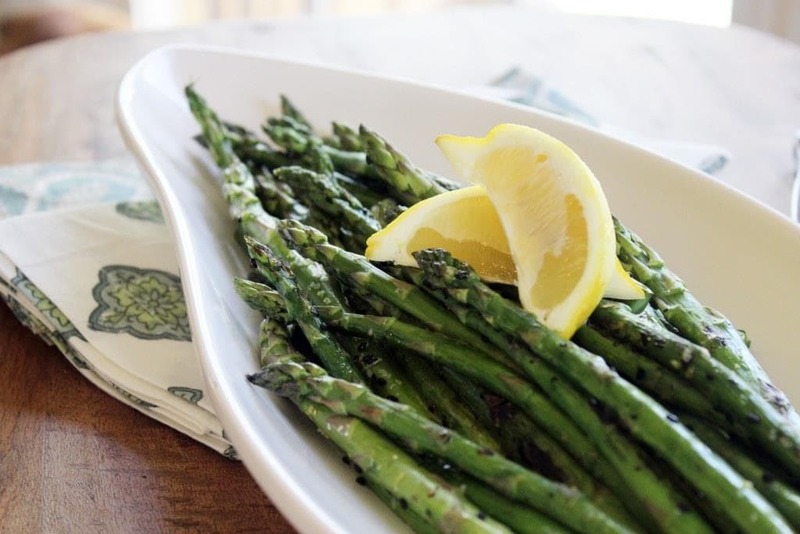 Just serve the asparagus with wedges of the zested lemon and we’re good to go. 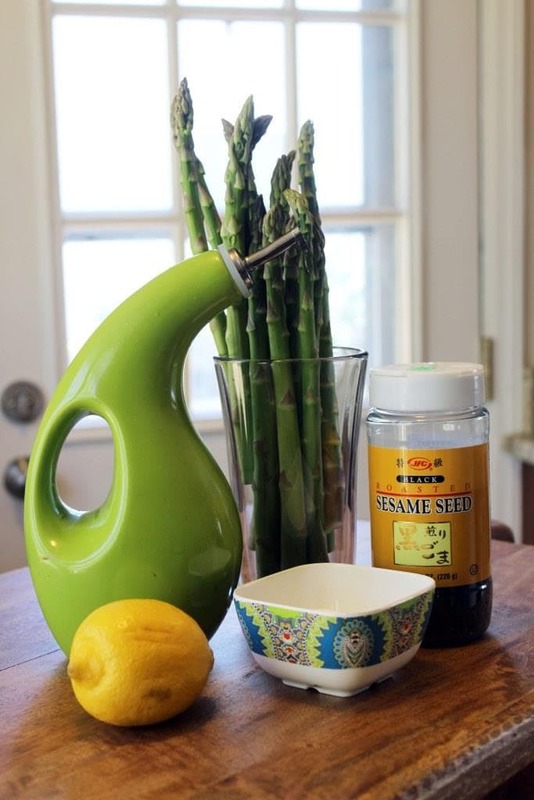 The lemon and sesame combo is really nice here, and the hot pan plus fast cooking time almost caramelizes the outside of the asparagus without making the inside mushy. 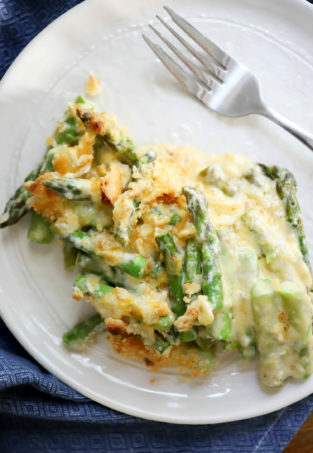 Now, I’m totally excited to show you the rest of the meal, but for today plan on making this asparagus with ANYTHING you love! Preheat the olive oil in a large skillet to medium-high until ripply and nearly smoking. Add the asparagus and let sit without stirring for 4 minutes or so until the asparagus begins to turn bright green. 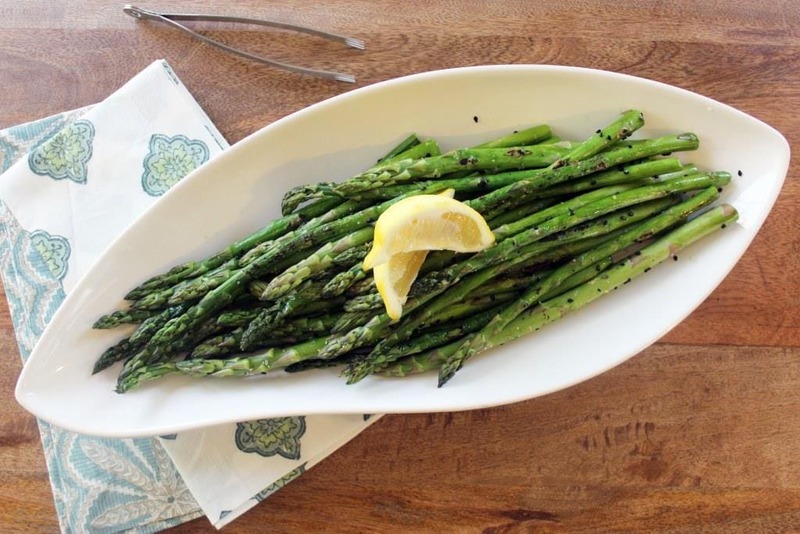 Toss the asparagus with tongs, then sprinkle on the salt. Let sit for 2 minutes to char the second side. 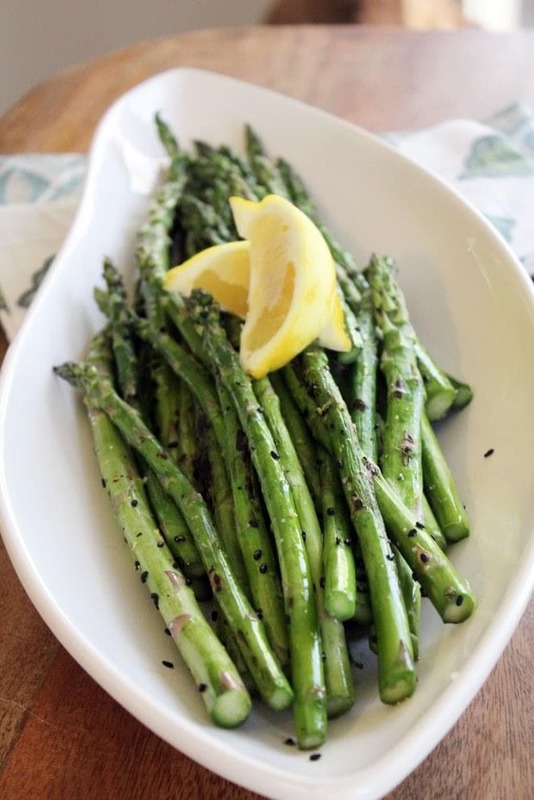 After the asparagus spears are charred in spots but not mushy or overcooked, sprinkle over the lemon zest and sesame seeds. 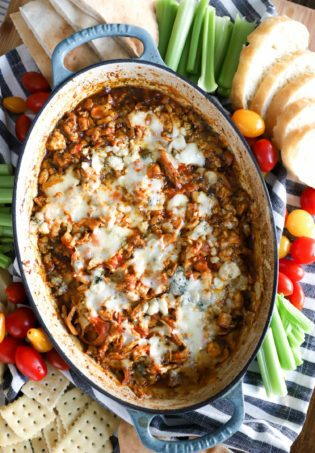 Turn the heat off the pan, and toss for 60 seconds more to incorporate all the ingredients. 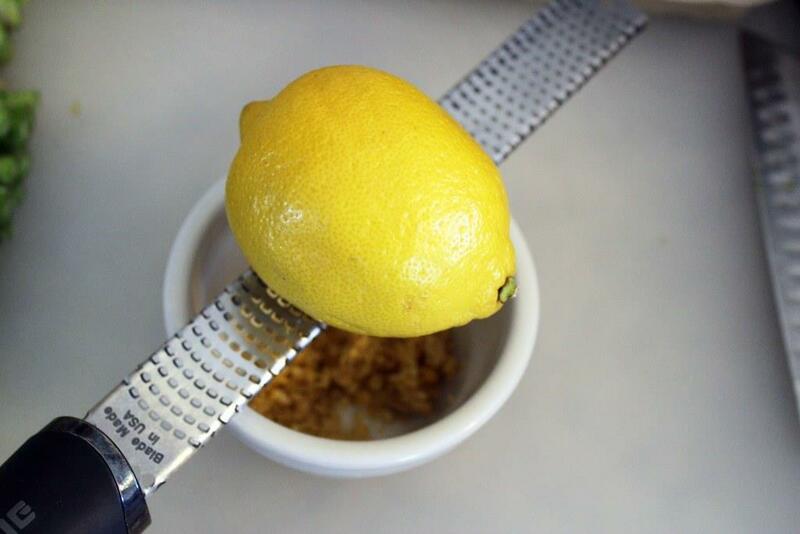 Serve with the lemon wedges as part of your favorite dinner. Enjoy!